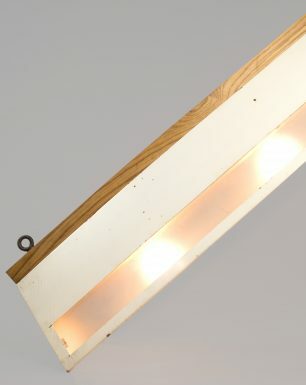 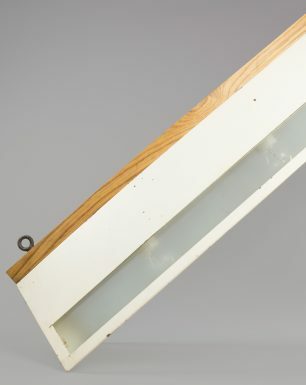 The Drop Dolphin is a distinctive East German lighting fixture expressing a pure, simple, and straightforward design. 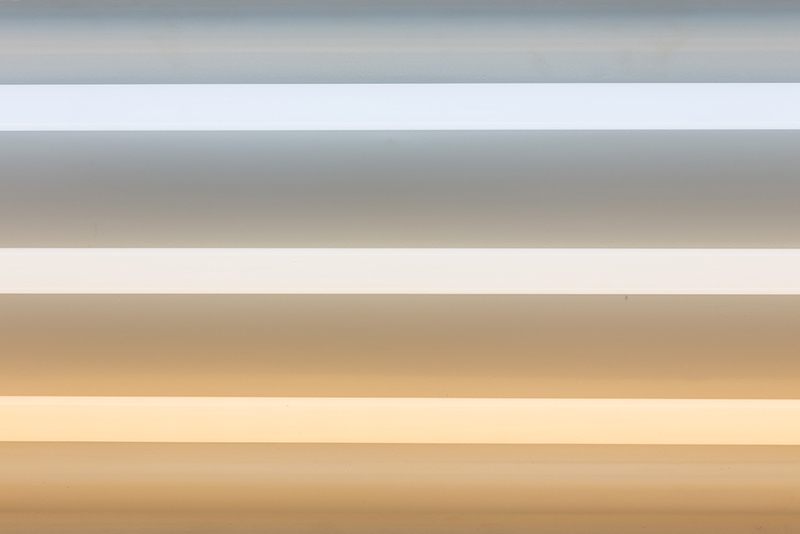 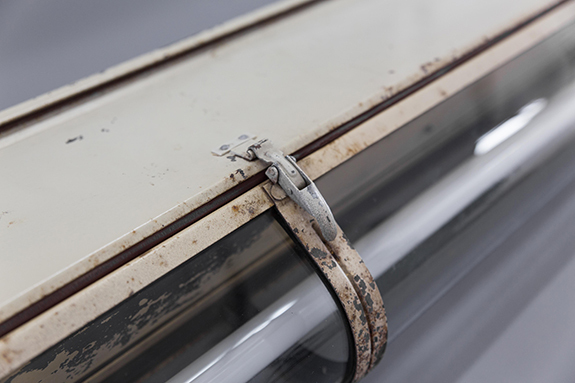 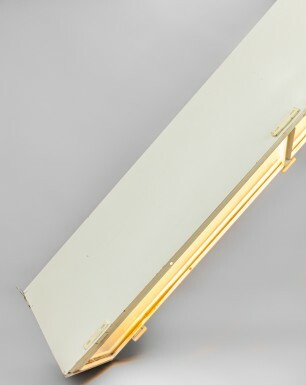 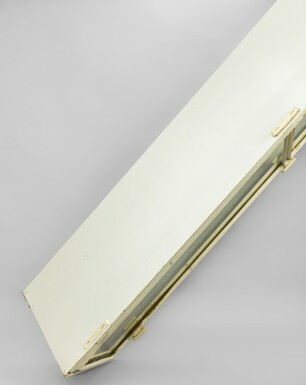 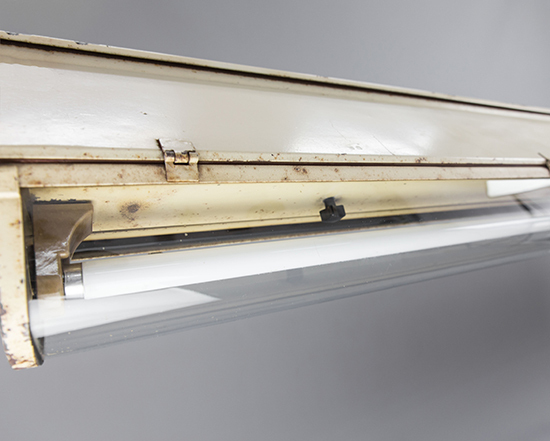 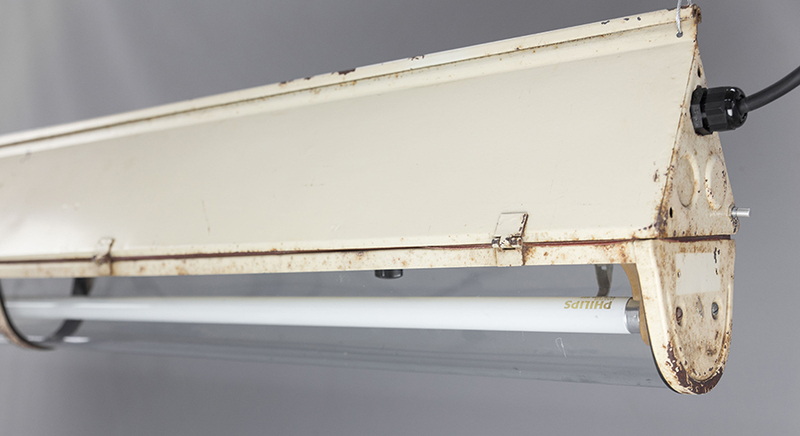 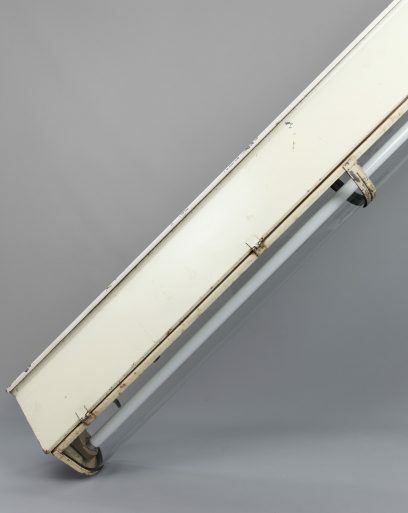 It features a metal body with plexiglass which protects the fluorescent tubes and can be opened by using the clips on the side. 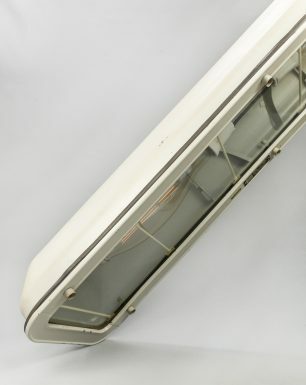 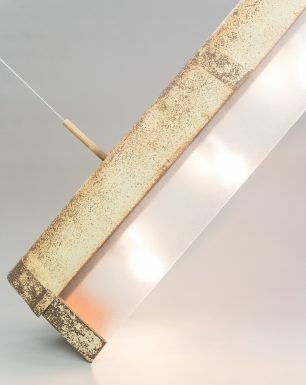 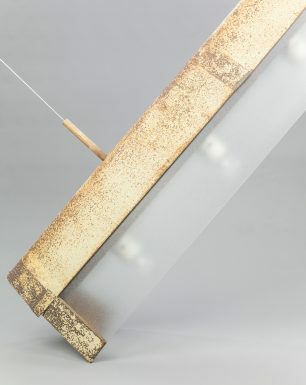 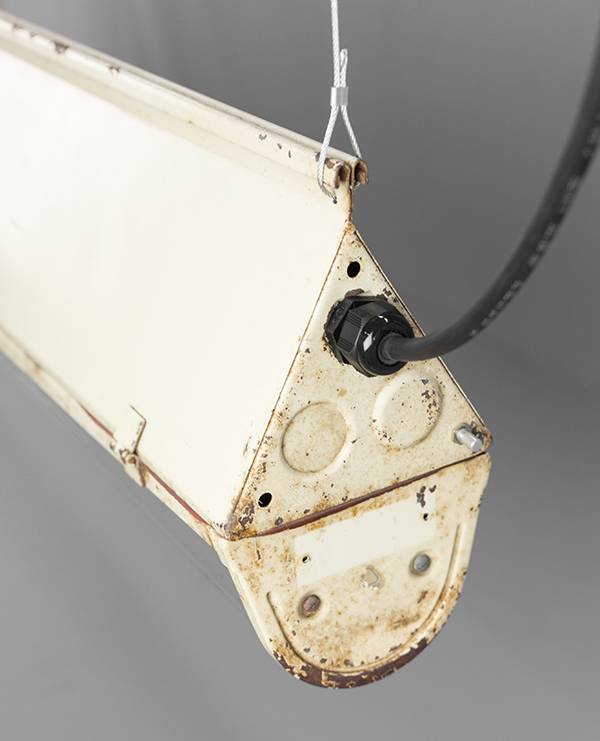 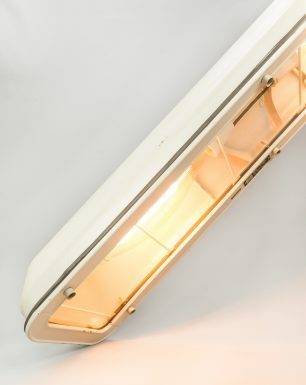 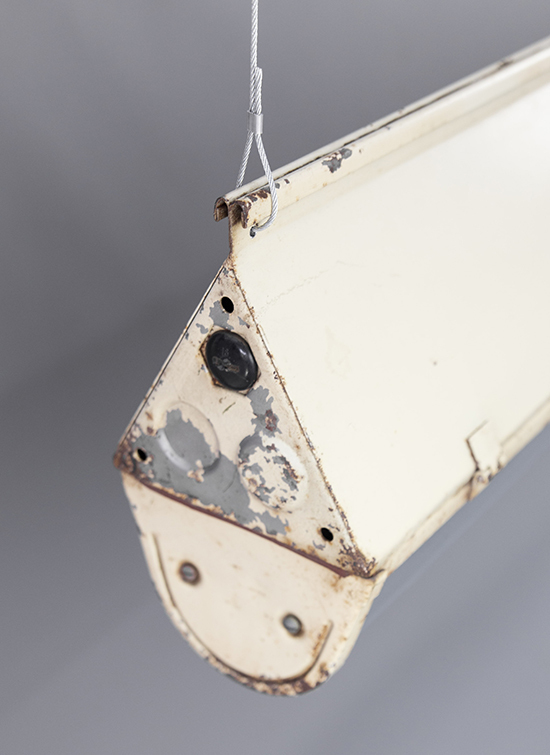 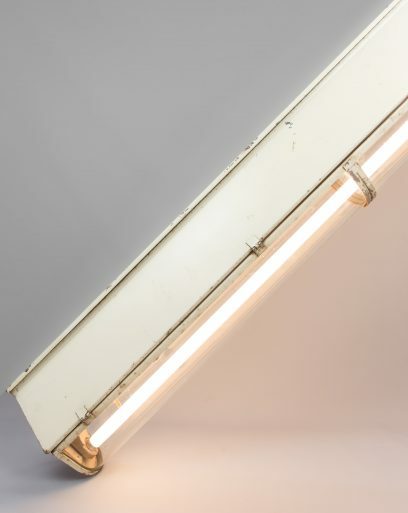 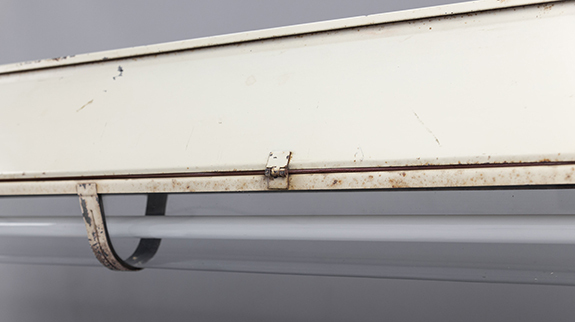 The fixture was produced by Leuchtenbau Leipzig (LBL), an East German manufacturer that worked closely together with the Bauhaus University in Dessau.